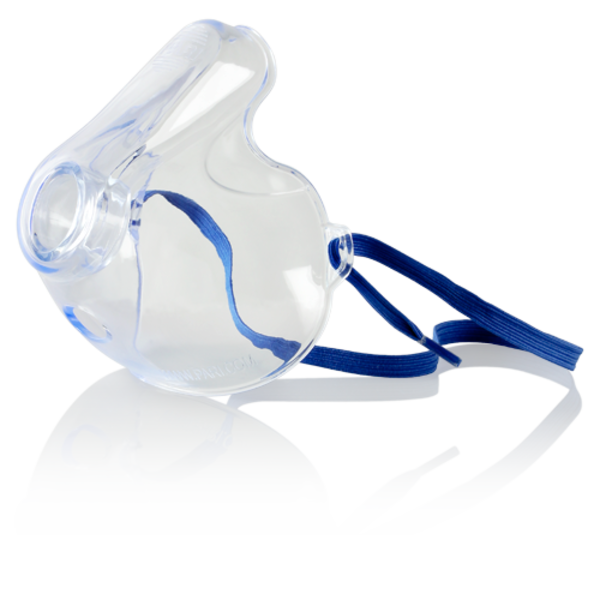 A safe, comfortable mask for adult patients unable to use a mouthpiece. 1Facial and Ocular Deposition of Nebulized Budesonide. K. Harris, G. Smaldone. CHEST 2008; 133:482-488. Tables 2-4.